The best selection is always packaged in style. Our fine wine is served with a limited edition Hopfeesee’s Jersey Wine Holder. The brand of wines are subject to availability at the time of ordering. Our Customer Service will advise accordingly should there any changes. Wines mentioned are available within Klang Valley, Penang and Johor. 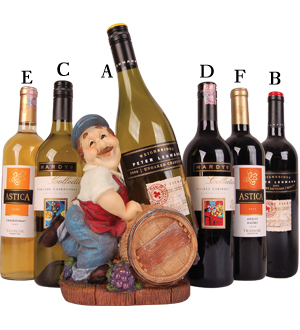 Type of wines available differs in other States unless wines are sent via courier. For delivery to other States, you may check with our Customer Care at 03-78830233 / +6012-6915200 on the types of wine.